Midtown, Wynwood and the Design District: all grown up? As the Design District, Midtown and Wynwood continue to evolve, the neighborhoods could replicate the synergy of Greenwich Village, Chelsea, the High Line and the Meatpacking District in Manhattan, according to some big-name developers. 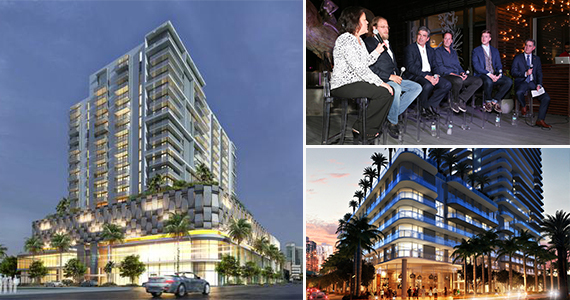 Last night, the Dezer Development president joined a panel discussion on the interconnectivity between the Design District, Midtown and Wynwood. Held at the Hyde Midtown sales center at 3401 Northeast First Avenue, the group also featured Carlos Rosso, president of condo development for the Related Group; Michael Comras, CEO of the Comras Company; James Provencher, managing partner of Barry’s Bootcamp; and Ivette Day, sales and marketing director at Apeiro Kitchen & Bar.